Amazon CEO and Blue Origin founder Jeff Bezos at a news conference at Cape Canaveral Air Force Station in 2015. 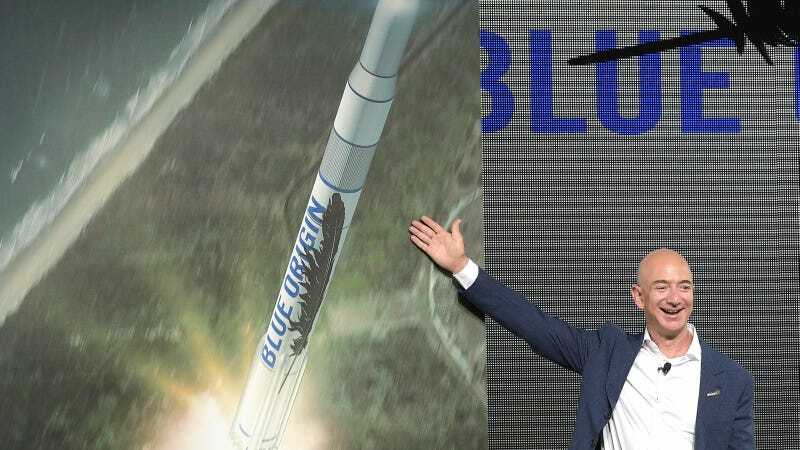 Amazon CEO Jeff Bezos’ rocket company Blue Origin has officially started construction on a Huntsville, Alabama facility that will produce engines for its New Glenn two-stage, partially reusable launch system, as well as the United Launch Alliance (ULA) Vulcan Centaur, Engadget reported. sometimes called “Rocket City” for its long history with spaceflight projects—will employ some 300-400 workers to build both BE-3 and BE-4 engines, and is planned to be “highly automated.” Parts of the manufacturing process will be additive, i.e. 3D-printed. Smith added that the factory should be capable of producing “dozens” of rocket engines annually. Blue Origin is planning on running the first crewed test of its existing New Shepard suborbital vehicle in 2019, while it hopes for New Glenn’s first flight to space to take place by 2021. ULA, a partnership between Boeing and Lockheed Martin, is planning on having the Vulcan Centaur replace its current line of Atlas and Delta rockets, the former of which uses Russian rocket engines, AL.com noted. ULA’s selection of the BE-4 for that system in September 2018 was a critical factor in Blue Origin’s decision to build the factory in Alabama. According to SpaceNews, the BE-3 variant to be made at the facility (the BE-3U) is to be used for the New Glenn’s second stage. Smith also announced that Blue Origin is working on an agreement with NASA to take over Building 4670 at Marshall Space Flight Center in Huntsville for acceptance testing. Is the Elusive &apos;Planet Nine&apos; Actually a Massive Ring of Debris in the Outer Solar System?